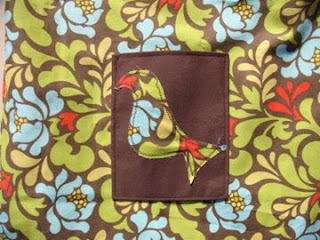 i can do embroidery or a different shape on the pocket instead of a bird. 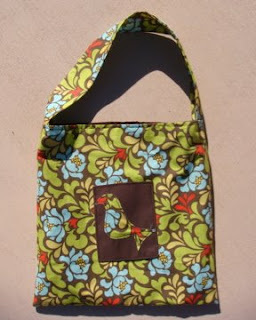 this tote measures approximately 14"x14" and the strap is 21", however they can be made in any size. 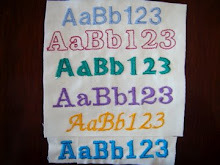 i can also do two straps instead of one and in any length. 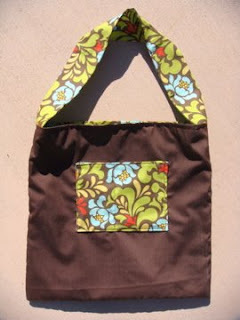 i used an amy butler fabric as well as a coordinating brown fabric for this tote.